Apart from taking command of Britannia Royal Naval College, what have been the highlights of your career to date? There are too many to mention! But I suppose commanding fantastic people at the front-line over the years has been my inspiration and something I really enjoy. I have been really privileged to have been the Commanding Officer of three ships in my career – the frigate HMS Monmouth and two aircraft carriers, HMS Ark Royal and HMS Illustrious. For any naval officer, being put in a position of leading men and women is the greatest honour and privilege one can have and doing so at sea with a ship’s company of motivated and dedicated professionals – well, there’s nothing like it. How do you feel about your appointment as commanding officer of BRNC? To be asked to come back to the College 27 years after I came through as a cadet myself is a dream come true – I am the envy of all my peers. It’s a very special place for any naval officer because we all came through here for our basic training and it is where man and maritime are nurtured formerly at a young age. The College makes an immediate and powerful impression on anyone arriving here, even as a temporary visitor, let alone as a nervous young cadet. This sticks with you over the years, indeed your psyche and personality is very much shaped by the extraordinary training BRNC gives you. So whenever you come back, look up at the College, walk the corridors, smell the polish and feel the incessant activity and purpose, the hairs on the back of your neck stand up. Arriving here in September as a senior Naval Captain triggered all these feelings, much as they did in 1985 when I joined the Royal Navy - a feeling of comfort and excitement at the same time. What does the Commanding Officer of BRNC do? My job is to command the college. I am responsible to the First Sea Lord and my immediate superior, Flag Officer Sea Training, to train young men and women to join the Fleet and specialist training establishments at the required standard. My aim is to take civilians with potential and develop their leadership and management skills, plus inculcate in them the strong ethos and heritage of the Royal Navy. I am also responsible for the Leadership Academy both here at Dartmouth and at HMS Collingwood, where not only do we teach leadership to cadets but also provide training to officers and senior ratings throughout their careers. But essentially I am responsible for everything that happens here at BRNC. Are you here to instigate any major changes? Clearly BRNC has been here for 107 years and in that time it has had to adapt and evolve to meet the changing requirements of the modern Royal Navy. I don’t think the fundamentals of training young people to be officers have changed over those 107 years but clearly we have to reflect the changing world we see around us to make sure the Royal Navy is fit and able to fight and operate around the world. That means we have to change aspects of training here and there as required. I have no intentions here to change anything fundamental because the recipe is good, but you may have to change the ingredients a little from time to time. Having come straight from the front line commanding an aircraft carrier it’s fantastic now to have an impact on the very people I was seeing joining my ship last year. Being back training young, energetic, motivated and keen young people is incredibly invigorating and if I can do my little bit to give them the benefit of my experience and also to shape their formative years in the service, that for me is a great way to serve the Navy. What are the greatest challenges you feel you will face at BRNC? BRNC, like for the wider Royal Navy, is all about maintenance of the highest standards because the sea is our permanent classroom and the enemy may also add their own complications! Both demand that we are as ready as possible and that means world-class training. Therefore the job here at BRNC is to mould, train and shape the very best young officers who are imbued with the right professional skills in leadership, ability and empathy for the people they will lead, and that all starts here in Dartmouth. 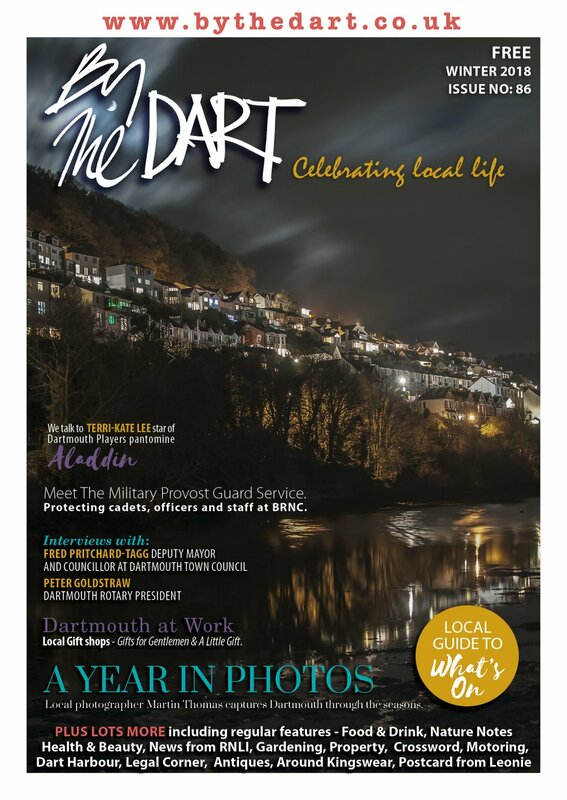 So my greatest challenge is to keep those standards up in the age of austerity where we are seeing lots of pressures to make efficiencies, but I am backed up with a superb mixture of a civilian and military team here in Dartmouth and support of the town, without which I think my job would be impossible. Seeing a Passing Out Parade where young officers have successfully completed what is a demanding and tough course. We have taken essentially young civilians from university and school, and after 30 intensive weeks they emerge as courageous young managers and leaders who are ready to go onto further training in areas as diverse as pilots, nuclear engineers, to navigators and logisticians. Seeing the pride in their eyes and also in their friends’ and families’ eyes who are watching, is for me one of the greatest privileges I have here. How important is the town and the River Dart to the success of the college? 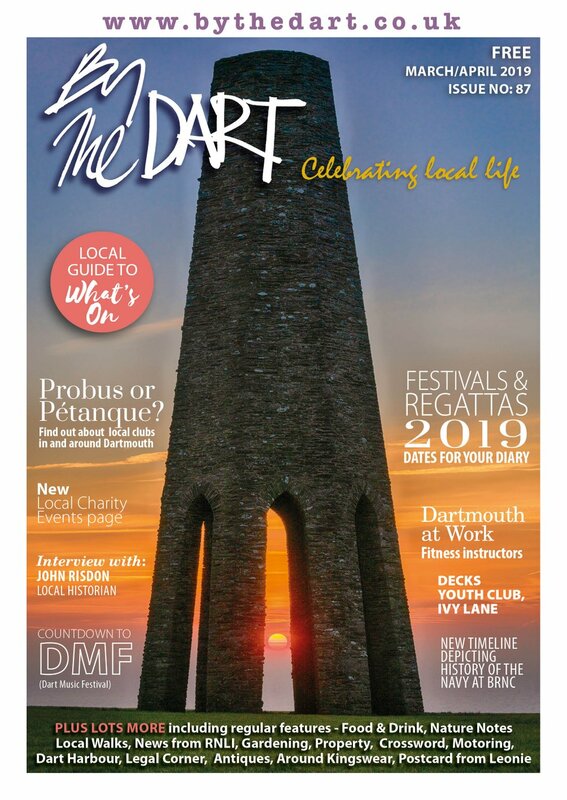 The reasons the Royal Navy selected Dartmouth, quite rightly, back in 1875 to be the site for officers’ training has not fundamentally changed at all. 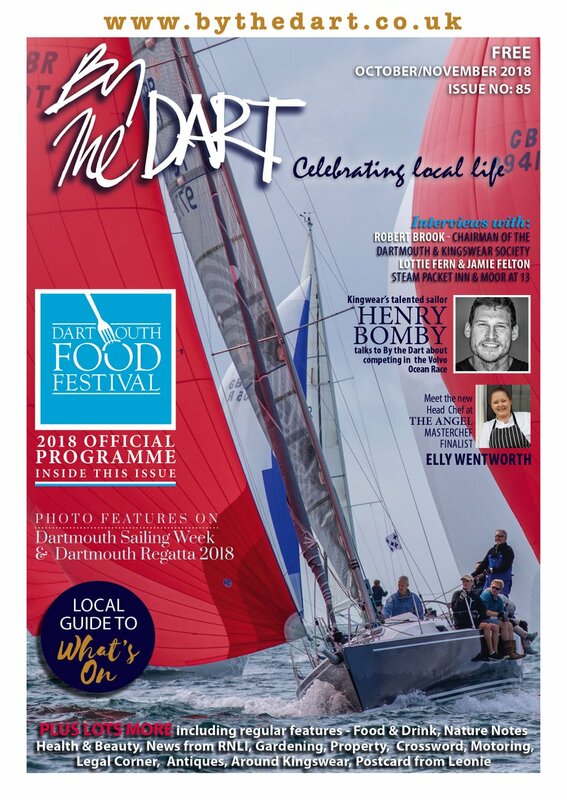 The access to the River Dart and the open sea is absolutely critical to developing young people’s understanding of the maritime environment, and the town itself is a huge support to the college. The combination of those two things will perpetuate the compelling reasons for young officers’ training to be sited close to the sea with access to all we require for an intensive syllabus. Here we have Dartmoor, the river and of course the town. For me it is perfect and I hope to see things remain as they are for another 107 years – at least! Did you always want to join the Navy? Was it a tradition in your family? My family have strong links with the military, both the Army and the Navy, so right from an early age I never really had any other thought of another career, apart from joining the Royal Navy. I remember when I was seven years old having a picture on my wall of a warship and from that age I have always known I would end up serving the Navy and my country. And I am jolly glad I did. It’s been a fantastic career and I have had some amazing experiences, interspersed with some pretty scary moments. But in the end the professionalism of the service remains as attractive to me as it did when I first dreamt of putting on my uniform. How did you feel as a young recruit arriving at the college? I believe every young person who gets off the train at Totnes and boards the Dartmouth bus to join the college feels extremely nervous, excited and full of trepidation about the demands that are going to be placed on them. But very quickly you realise that everyone else around you is feeling exactly the same way and that actually is very effective in starting the process of team building and empathy for your fellows, which is a crucial part of being in the Royal Navy. When you first arrive at the parade ground you cannot underestimate the impact of the college’s physical bulk and majesty. The college oozes power, ethos, history and heritage – it all seems to hit you square in the face and for the first time you really feel you have actually joined something very special indeed. What are your memories of training here and of the town? I was here when I was 18 years old in1985 and my memories are of incessant activity from 6 in the morning until 11 at night, of being really tired, pressured at times but also feeling myself grow and mature very quickly as a person, getting very fit and becoming incredibly self-confident. Dartmouth training is brilliant and builds your confidence and leadership skills so very effectively and quickly that you do feel you are changing on a weekly basis for the better. I was never bored and everyone learns to iron a shirt pretty quickly! It prepared me very well for life at sea and set the foundations for my commands of ships and sailors. How have things changed you joined? One of the great aspects of BRNC is that so many things do not change from year to year and we should not be embarrassed to say that if it isn’t broken, don’t try and fix it. The college fundamentally has not changed since 1905 when it first opened its doors, particularly in terms of standards and the quality of the training staff, and the feeling of heritage and ethos you get when you walk around its corridors. But clearly the college has modernised over time in terms of the technology, training techniques and equipment we train with. Today’s leadership and management training at BRNC, which is at the heart of what we are trying to do, utilises the most contemporary coaching and mentoring methodologies to make sure the young people here are given the very best start to their careers in the very best learning environment we can. It is a modern college with all that brings, bounded with history and ethos – a powerful and effective mix. When you found out you were coming back to Dartmouth was there anything you were particularly looking forward to? Any naval officer of my rank would absolutely love the chance to come back here as the Commanding Officer simply because it means so much to us individually and to us a fighting service. Just saying the name Dartmouth to any naval officer engenders a feeling of real pride and fond memories. So coming back here as the Captain and the thought of immersing myself back into this unique and very special college and town is just fantastic. Where were you prior to coming here? I was commanding HMS Ark Royal and HMS Illustrious, followed by a very short five months in the Ministry of Defence before I took up my appointment here as the Captain, so I am very lucky that I understand what is required of a young naval officer now, having come straight from the front line at sea. I hope I can at least impart a bit of that recent experience and 27-years in the Navy to a new generation of young men and women coming through my doors here at Dartmouth. The inevitable challenges facing the country in the 21st Century will demand the best people, trained well and given the right kit to do the job. I think we do the training bit very well here, but I would say that wouldn’t I! I was born in Beaconsfield, Buckinghamshire and spent most of my formative years in Cheshire before joining the Royal Navy in 1985. Do you have family? Are they here with you? Yes, my wife Karen, who is a doctor, lives here In Dartmouth with me along with my four sons who are aged between eight and 12. It wasn’t that long ago now that new boys coming to Dartmouth were 13 years old. For my sons it’s a great adventure playground but hopefully they will all join up in due course! I love fine dining, skiing and sailing and trying to help the children with their homework – although I am finding I have to scratch my head more and more as they get older. With the cadets and the children, life is never dull! Would you recommend Navy life to any budding recruits?